Разстояние до летището 24,1 км. Имате въпрос към New Style Hotel? New Style Hotel е предпочитан както от пътуващите по работа така и от туристите заради качествения и удобен престой, който предлага квартал ресторанти, пазаруване, нощен живот на Хонконг. Този 1-звезден хотел е леснодостъпен, тъй като е само на 33. Km от летището. С удобното си местоположение хотелът предлага лесен достъп до всички градски забележителности, които задължително трябва да се видят. New Style Hotel също така предлага много съоръжения за обогатяване на Вашия престой в Хонконг. Подбор на съоръжения от най-висока класа като безплатен WiFi достъп във всички стаи, 24-часова охрана, експресно настаняване/напускане, съхраняване на багаж, Wi-Fi връзка в общите части, са на разположение за Вас в хотела. Гостите на хотела могат да изберат една от 12 стаи, в които се усеща атмосферата на спокойствие и хармония. Освен това в хотела можете да се възползвате от множество предложения за приятно прекарване на свободното време. New Style Hotel е най-подходящото място за Вас, ако търсите качествен хотел в Хонконг. Рецепцията е отворена от 11:00 AM до 12:00 AM. Гостите, които не се настанят в този период от време, трябва да се свържат директно с обекта преди пристигане, за да бъдат направени алтернативни уговорки. Полное соответствие фото, вайфай, горячая вода, кулер. Кровать удобная, средней твердости. Очень чисто, пахнет моющими средствами и в номере и в коридоре. Рекомендую. 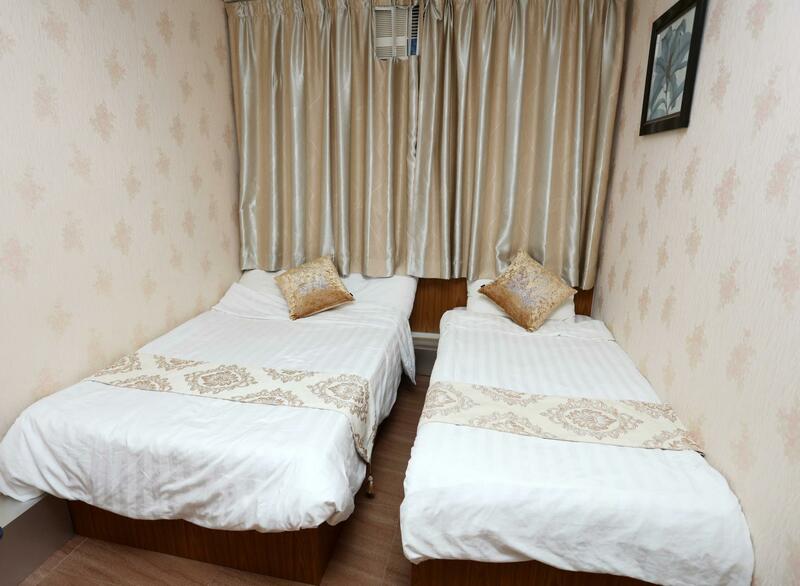 The place is accessible to the MTR and the airport bus, A21, and near the Ladies' Market. Easy to check in and out. 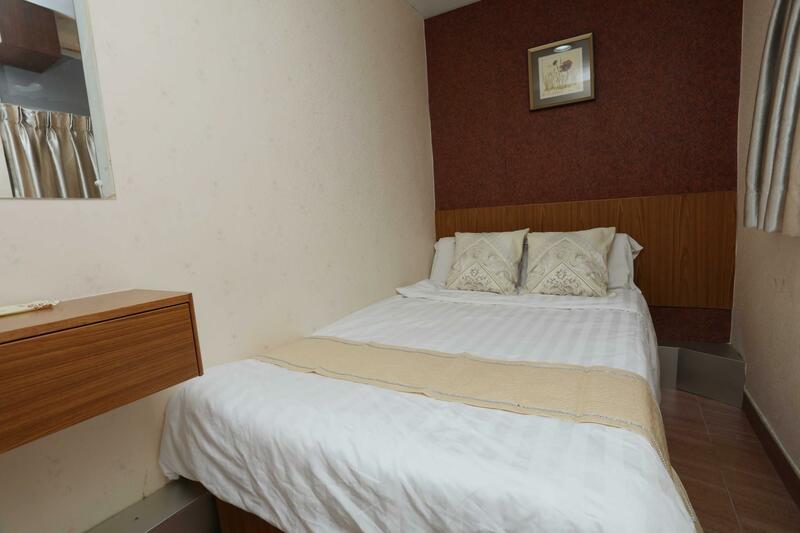 Although the rooms are small, they are clean and the beds are comfortable. The receptionist is very friendly. They clean our rooms everyday and replace old towels. The Quad room has enough space for 4 adults and 2 big luggage plus 4 backpacks. Additional plus is the free use of water dispenser outside the room. The location of the hotel is near MongKok MTR Exit E1. Will definitely stay here again. New Style Hotel has a good location. Walking distance to MTR Yau Ma Tei and Mong Kok Stations. They clean the room and change towels daily. It has Wi-Fi, aircon and TV. They also provide slippers, hair dryer, hanger and basic toiletries such as toothbrush, shampoo and liquid soap. Hot and cold water dispenser is available in the corridor. The building is old but the room looks new and uses key cards. Only downside is the tiny bathroom. if you're a budget traveler and doesn't mind small space just as long as the room is clean with basic amenities such as bed, ac and private bathroom with hot/cold shower, this may be of good choice. it is also of good location because subway is just few steps away to the right while MTR is a few stretch on the left. same side of Grand Plaza and across the street will be the popular Mongkok markets and shopping malls which include Ladies's Market, Sneaker Street, Beauty Avenue and so much more. the only challenge would be the communication with the staff, they could hardly understand and speak english to the point that you just have to do sign language or if you're lucky, have someone (a guest) that can interpret for you. nonetheless, we had a pretty good stay. We booked 2 quadruple rooms in this hotel. We were a group of 7 individuals. The hotel was located at the vibrant city of Mongkok. 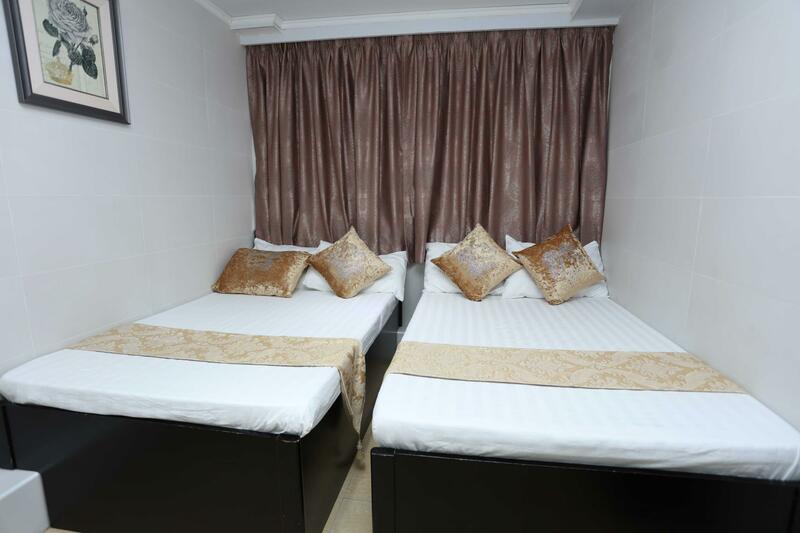 Very near to Mongkok station, just a maximum of 5-minute walk. The lady at the reception doesnt know how to speak in english but the room they gave us was very clean and not too small. We have enough space to rest and put our luggages. They also have fast internet connection, offers free hot and cold drinking water and shower with heater. A very comfortable bed. We definitely have a good stay. Отседнахме 6 вечер/и в май 2018 г. Pleasant stay. They changed the towels and clean the room almost daily. The cleaner lady was friendly. There is a hot & cold water dispenser at the corridor. However the washroom was ridiculously small. The next quad room was much bigger and has a more spacious washroom. We had room no. 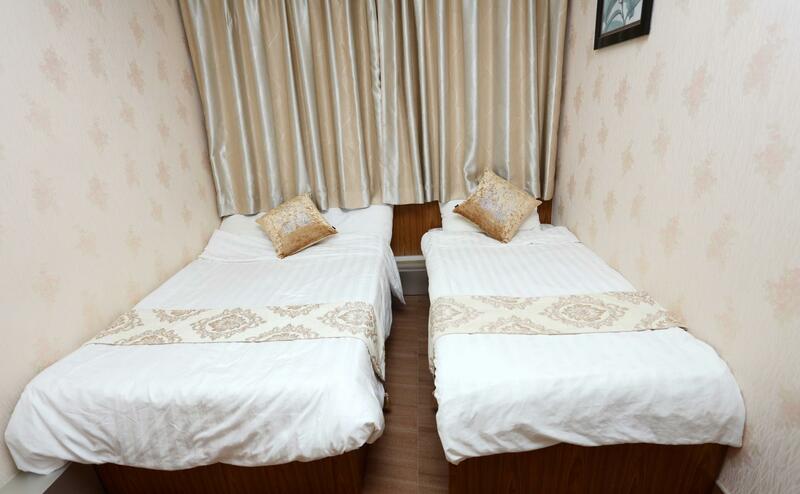 3.
the room for three was a bit small though it is expected to hk accomodation if you choose budget hostel/hotel. But overall it is clean, they changed our towels everyday and clean our room everyday. Near mtr, street markets, restaurants and street foods., though the receptionist when we arrived was a bit strict coz we arrived late (though i indicated that we arrive late) she can’t even speak english. communication is very hard coz they can’t speak and understand english. It’s in the 16th floor of a building in the center of mong kok. Very convenient and affordable, there are lots of stores, malls, and convenient stores just outside the building. Mong kok mtr station is just a few minutes walk from the hotel. The twin room have enough space for a small luggage. I didn’t mind the small space at all. The bed is nice, the toilet is small but still nice. This room is good for solo travellers and couples. The only thing is that, when i went out I noticed some red dots on my legs. I thought those are from mosquito bites from outside but it was actually from bed bugs. I got 5 bites. The room looks really clean, they even give fresh towels and cleans the room everyday. I think its from the comforter. All in all, its a nice hostel. Maybe i was just unlucky with bed bugs lol. But i really enjoyed my stay here. If you will just follow the direction given on the hotel's email confirmation it will be hard for you to find the place, so better use google maps or ask a local help you find it as the name of the building written on the instruction is in English but the building itself has it written in English. Anyway, most of the hotels in Hongkong were pretty small, but the room though small is pretty nice and clean I must say. Plus points to this hotel is the free hot and cold water provided near the reception. considering that water is expensive in Hongkong. Early check-in isn't allowed and you cannot wait at the lobby as it was very small that it cannot occupy guest at all. Okay for short stay I think. From airport you can take the bus A20/A21 and go down bank centre. Then just walk and you'll get here. What's nice is that the place is in mongkok and near shops, restos. Ladies market amd sneaker street is just walking distance. Place is also very clean. They changed our towels everyday. There is also free drinking water. The mother and daughter who runs this place is also nice. If ever we go back, we'll come again to stay. Because of Mangkhut Typhoon I postponed my trip to Hongkong. Me, not making any ridiculous reasons in changing my dates the hotel negatively rejected and reeks me off to a dead end. Unwilling to listen and accepting alternative ways to helps and resolve problems is what I see. Service level of 8 is a big question mark ?? ?